More and more individuals are realizing the importance of preserving the environment. With most of our natural resources depleting, there’s a global movement to become more “green”. The use of plastic is being reduced actively by banning plastic bags, carrying glass water bottles of your own, using cloth bags to carry stuff in, and other ways. Dishwashers can consume a lot of water in each cycle, as well as a lot of energy. Make sure you invest in an energy-efficient model which requires less water. Keep pre-washing to a minimum too. Run your dishwashers on full load. Using the dishwasher when not at full capacity is wasteful. It also costs you more money. When using the sink to wash dishes, fill up the sink. You end up saving a lot of water by using a full sink instead of a running faucet. Everyone is aware of the water wasted in the shower. It accounts for a major chunk of your water consumption. If you must have a shower, reduce the time you spend under it. If you usually have a ten-minute shower, reduce it by 5 minutes. This 5-minute reduction can save 12.5 gallons of water. 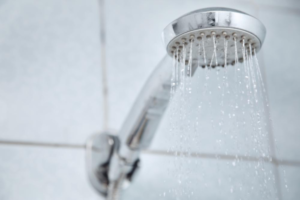 The U.S EPA Water Sense program guides residents on ways to reduce water wastage. They rate showerheads on efficiency. Households can save thousands of gallons of water and hundreds of kilowatts of electricity with their ratings. Leaking toilets and aging plumbing systems are a problem faced by many homeowners. Such leaks are costing you money and wasting up to 750 liters of water a day. 30% of water consumption is attributed to toilet flushing and so having a well functioning system is important. Replace older, inefficient toilets with EPA WaterSense products. Such products use 1.28 gallons of water per flush, whereas your older system was using 6 gallons. Dripping faucets may not seem like a pressing plumbing problem. You probably think a few drops every now and then aren’t wasteful. In reality, leaking faucets waste up to 192 gallons a month. Use the Drip Calculator to get an accurate figure. Make sure you turn the faucet off when brushing your teeth. Most of us, out of habit, keep the faucet on while brushing your teeth. You can save up to 3000 gallons a year by turning it off for those three minutes. WaterSense approved faucets reduce the flow of water while maintaining the performance of the faucets. Homeowners generally don’t notice any difference when using these faucets in terms of functionality, but it works and it reduces utilities.